If someone told you that your chronic back pain is all in your head, you would probably take offense. Anyone who has suffered from chronic back pain knows how nagging and miserable it can be. 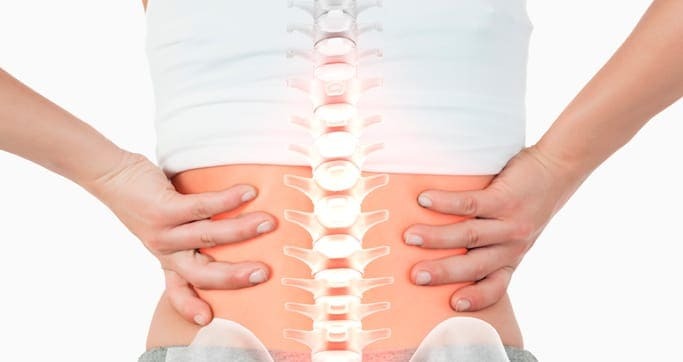 Yet in many cases, chronic back pain is not caused by structural or mechanical issues, but the by an overly reactive central nervous system (CNS). Many people suffer ongoing back pain for years, trying various treatments with little or no success. Surgical interventions often fail to resolve back pain, and in some cases surgery may cause further spinal degeneration. Recent research has begun to shed some light on how the brain and CNS may influence chronic back pain in some people. Central sensitization is a CNS condition that stems from a wind-up process that places the CNS in a highly reactive state that lowers the patient’s pain threshold and intensifies their sensitivity to pain and even the sense of touch. Even a light touch can send signals to the brain that are interpreted as pain. Allodynia: In this category the nerves in the painful area are so sensitized that the patient experiences pain from things that are not typically perceived as painful, such as light massage or simple touch. Hyperalgesia: In this category, a normally painful stimulus is magnified, and the patient perceives pain than seems greater than warranted. Central sensitization is often prevalent in cases of low back pain. Central sensitization stems from changes in the CNS, particularly in the dorsal horn of the spinal cord and the brain. Changes often occur within cells at receptor sites, and are sometimes triggered by spinal cord injuries or strokes. However, sometimes patients develop central sensitization from an injury on the periphery that does not directly impact the CNS. Researchers are making inroads into understanding why some patients develop central sensitization, and have identified certain contributing factors, including certain biological, environmental and psychological characteristics that predispose them to the condition. Genetic factors may play a role, and patients with a history of physical or emotional trauma and depression seem to be more prone to central sensitization later in life. The prevailing theory is that if pain can be felt, then it can be treated. The pain specialists at NYDNR take a multimodal approach to pain treatment. After a careful diagnosis to identify the source of pain and rule out other causes, we use diagnostic ultrasound to confirm our diagnosis. Treatment may include acupuncture, dry needling, extracorporeal shockwave therapy (ESWT), manual therapies and other innovative methods. You do not have to live with chronic back pain. Visit NYDNR, and eliminate your pain for good.